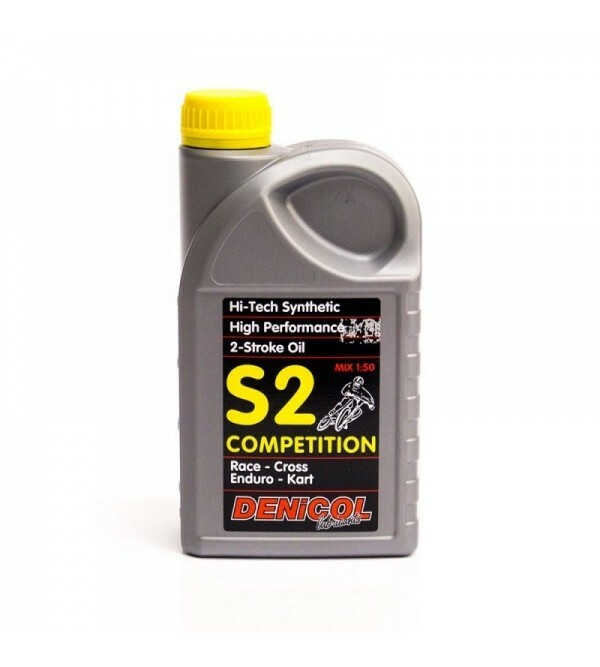 S2 Competition is a full synthetic 2-stroke race engine oil of superior quality. and keeps the engine clean. Tinted blue to aid identification to treated fuel. Used in competition, motor-cross, race, kart, etc. Mixture ratio 2 % (1/50).